Based on the similarities and differences between different organisms, create branching diagrams called cladograms to show how they are related. 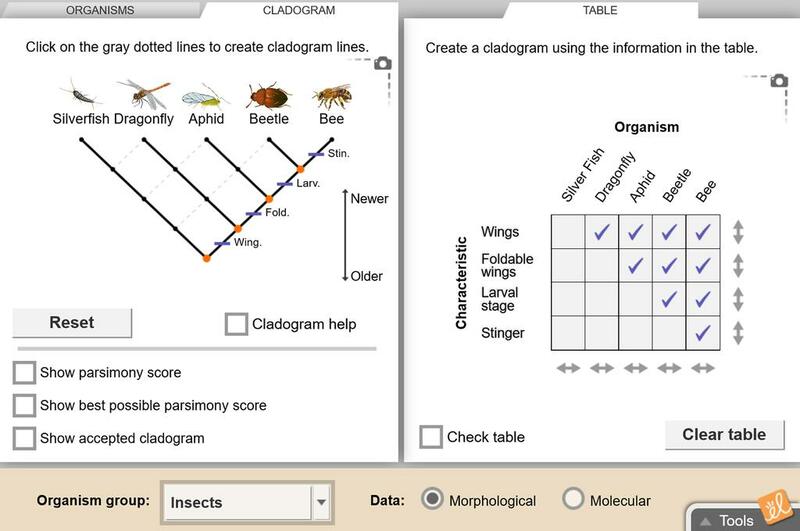 Use both morphological data (physical traits) and molecular data to create the simplest and most likely cladograms. Five different sets of organisms are available.